I’m really excited by this collection. I tried to be guided by the blurbs and the covers rather than be influenced by reviews or what I’ve heard through the SPFBO pages. A couple of these I’ve had my eye on for a while so I was really pleased to find them in the sale and be able to support my fellow indie authors. I can’t promise when I’ll read them, but I will review them on my blog, Amazon and Goodreads eventually. I think I may have sold a couple of copies of my own 2016 SPFBO entry – Visions of Zarua but with the birthday blitz and a couple of ads running at the same time, its hard to know what sparked the purchases. Did you pick up any of the books above? Or have you already read them? Who is up for some bargain books? Check out the Promo page with links to all the books in the 99p sale. The fantasy books on offer span all areas of the genre including dark and urban. The authors taking part have been entrants in Mark Lawrence’s ‘Self Published Fantasy Blog Off’ competition which is now in its 4th year. A big thank you to Travis M Riddle for organising the giveaway and hosting the promo page. You will find my debut epic fantasy Visions of Zarua among the books on sale. It was a SPFBO entrant in 2016 and is celebrating its 3rd birthday tomorrow! I will be back then for a special birthday blitz. But while you’re waiting, why not check out all the brilliant books that are on sale today. Please share and spread the word about this epic sale! The 5 day book promo is over and I couldn’t resist picking up some books at the bargain price whilst also helping to support my fellow indie authors. I don’t know when I’ll get the chance to read them as I’ve already set myself a reading challenge for the summer, see the post here, but I will read them all and review them when I can. There will be lots of reviews going up for the 300 books in this year’s SPFBO. You can keep in touch with these by searching #SPFBO on twitter and facebook, and by checking Mark Lawrence’s dedicated SPFBO page where he shares links to the judges reviews, relevant blog posts and has a counter that shows how many books are left in the competition. I thought it would be fun to share the books that caught my eye during the sale and to say why I bought them. And of course it doesn’t hurt to give these authors a little extra exposure. So here is my list. Magic Price – C.L Schneider reviewed here. A 5 star read, I loved the cover the premise and when I read it, I loved the story too! I was interested in this one having followed some of Rosalyn’s blog posts and then reading the prequel The Sand Scuttler which I reviewed here. I love the revised cover of Ian’s book and was quick to buy it when it went on pre-order. I loved the cover and just had to buy it! Plus it has ships and sea monsters. Who can resist? The cover was a semi finalist in my group’s cover competition, and I can see why! From the blurb I think I’m going to enjoy this book. Plus it has some very positive reviews. The cover is a draw for me and I was also impressed by the blurb. I don’t come across many books set in the desert and I haven’t read much steampunk so I’ll look forward to trying this one out. My son spotted this one on the list and said the cover looked really good. I had seen a few reviews on goodreads and thought why not try it out and see what I think. Andrea did a lot of hard work setting up the giveaway so of course I was going to support her by buying her book. But the book cover and the blurb also did a good job of selling the book to me. I haven’t read much in the way of Urban fantasy, so this sounds like a great place to see what I think of the genre. I like covers with cities and the blurb sounds intriguing. I’ve also seen reviews for this book and knew I wanted to read it. This one is in my group of 30. I like the cover and the blurb so I thought why not see what its about. I’m intrigued to find out about Flint and how she can see into souls. This sounds like just my sort of story. I loved the cover but wasn’t so taken with the blurb at first. But when I checked the book again another day, because I still just loved the cover, I thought actually this sounds pretty good. A one for younger readers, this really caught my attention. I love the idea of talking horses. And the cover is brilliant. I like the cover and the blurb, and have seen some good reviews knocking around. So this was an easy purchase. It sounded like something a bit different and I like the idea of Druids and spectral forests, so I’m hoping to enjoy this one. It does say book 2, but also that it can standalone, so I’ll have to see how that goes. I was drawn in by the premise of this book, and I was interested to read a fantasy with more romance at its heart. There were so many books that I would like to have bought, but alas I don’t have the money to buy them all. I look forward to reading the above books and reviewing them in the future. I wish everyone in the competition luck and look forward to seeing the judges reviews as they come in. The Lost Sentinel didn’t fair as well as I’d hoped throughout the sale, but looking at the competition I can understand why. When faced with so many books, a reader must really be dragged in by the cover, the tag line and the blurb – I know as I looked at most of the books on the list and I probably wouldn’t have bought The Lost Sentinel either. I had to be so selective as my budget is non-existent, and I’m sure this will have been the same for many of those checking through the books for new reads. Although I still love my cover and won’t consider changing it yet, when I saw it against the others I knew it didn’t have the same instant appeal. Book 2 would have stood out better and someone did purchase it during the sale, so that was an added bonus! I’ve been trying to improve the blurb of The Lost Sentinel, and it’s something I want to keep working on. My experience of looking through the list of books showed how a long winded blurb can put off a potential reader rather than entice them to click Buy Now. So in all I didn’t gain that many sales, but I did gain extra insight into the competition my book is up against for a reader’s attention, and I’ve realised my blurb is in need of work. This experience has also led me to make a decision that I will stop obsessing over the sales and reviews for now and instead focus on book 3. Once the series is complete I can work on my sales tactics, but if I carry on as I am book 3 will never be finished! Another quick thank you to Andrea Domanski for hosting the sales page and for her tips regarding my blurb. And thank you to those who purchased The Lost Sentinel, I appreciate every sale. And finally this is a cheeky reminder that The Lost Sentinel is still only 99p / 99c until the 8th August. I have also reduced the price in Canada (if it has worked) as that is where my Ad with EbookSoda is posted today. Check out the EbookSoda website if you want to place an ad for your future book sales and kindle countdown deals. Thanks for reading, and good luck to everyone in the SPFBO 4 competition. I’ve spent a lovely weekend away visiting Cheddar Gorge and then onto the seaside with my family, but have got back just in time to remind you that many of the SPFBO promo sales end tonight. If you click on this link, you’ll see a list of over 120 fantasy books for just 99p / 99c. The Lost Sentinel is amongst the above mentioned books, though the kindle countdown deal ends 7th August. I’ve enjoyed looking through the list and adding to my tbr pile. Why not take a look and stock up on some summer reading and help out a few indie authors at the same time? This is the day 300 indie fantasy authors have been waiting for. The Self Published Fantasy Blog Off competition starts now 1st August 2018. To celebrate SPFBO 4 over 120 fantasy authors have discounted their books to only 99c / 99p. This is the dedicated page listing all the books in the sale. Please head over to see their wonderful book covers, teasers and links to buy. We all appreciate your support. With fantasy sub genres of epic, romance, urban and many more there will be something to suit every taste. And of course The Lost Sentinel is on the list under epic/high fantasy. Good luck to all my fellow SPFBO contestants and happy reading to everyone! And a big thank you to Andrea Domanski for organising everything! The Lost Sentinel has a few things going on at the moment and I thought I’d do a quick round-up for you. It’s available to request on Netgalley for the next few days only. Please check it out here and request an ARC if it sounds like your kind of fantasy. On the 1 year anniversary of publication (16th June) I entered The Lost Sentinel into the very popular SPFBO competition, set up by the great Mark Lawrence. In it’s forth year, the competition for 300 authors was full within 48 hours, so I was lucky to grab the opportunity when I did. The judging rounds open tomorrow, meaning reviewers will start posting their reviews and a winner from each group (30 authors to 1 reviewer/review team) will eventually be chosen and put into the final 10. There have been some huge success stories because of this competition, so it’ll be exciting to find out who wins big this year. Another really exciting thing for me is that a whole group of authors who are entered into SPFBO will be reducing their books to 99p for 5 days. At last count there were well over 100 authors taking part. I shall post more about this tomorrow along with the links on where to buy etc. If you are a fantasy reader, this could be your chance to pick up some great bargains. I can’t wait to get some discounted books myself and help my fellow indie authors get some sales! The last piece of news I’ll share is that I’ve requested a Book Bub placement for The Lost Sentinel. It was a last minute decision and I don’t expect to get anywhere this time but the good thing is I know how easy it is to send a request now. Hopefully over the next few months I’ll get some more reviews and one day I might get lucky enough to be accepted on Book Bub. It is a huge cost I can’t really afford, but sometimes you have to invest in yourself if you want to succeed. Don’t forget to check out the big sale tomorrow. 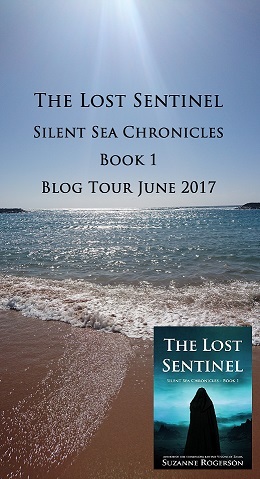 And here’s the link to my Goodreads book page if you wanted to find out more about The Lost Sentinel and see some reviews. As always a free sample is available on Amazon and it is free to read if you are a Kindle Unlimited subscriber.